Grant Walker "The Thunder Goose"
After being the Suspension team lead on his college FSAE team, Grant knew he wanted to have racing as a hobby in the future. He started with the team during the off season in 2016 supporting modifications/fabrication for the feature vehicle of Mechanical Advantage Racing, the “Slumdog.” The following season he attended every event and helped to get the suspension on the Subaru chassis dialed in along with track support. After the 2017 season, he was hooked and decided he wanted to build a car of his own. The work on the “Thunder Goose” started in August of 2017. From what started as the college daily/autocross car turned into what it is now. 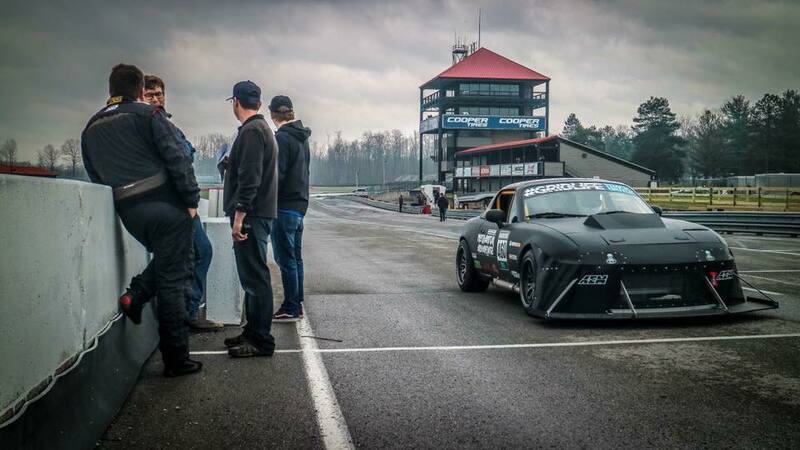 The car is a built NA K24 powered Mazda Miata with a 5 speed ZF transmission from an E36 BMW running into a Getrag G80 LSD from a Cadillac CTS. With having weight as a number one priority he is hoping this car will make a splash in the Gridlife series and compete for a championship in his class.